On Tuesday, November 20, 2018, AWS announced the release of the new Aurora Serverless Data API. This has been a long awaited feature and has been at the top of many a person’s #awswishlist. As you can imagine, there was quite a bit of fanfare over this on Twitter. And don’t forget that the #NoServerNovember Challenge (hosted by Serverless, Inc.) is still going on. These challenges will give you something interesting to work on and let you go beyond the standard “Hello World” tutorial. In our inaugural issue we introduced the serverless-mysql package with my Managing MySQL at Serverless Scale post. David Zhang (@Zigzhang) has taken this even further and created a five part series to help others get started. 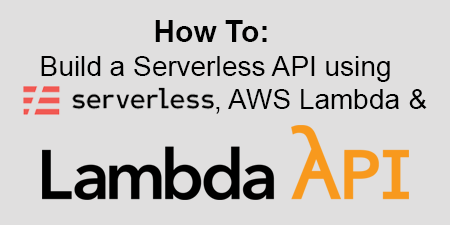 In his first post, Serverless & RDBS (Part 1) — Set up AWS RDS Aurora and Lambda with serverless, David lays out some background, then gives you full examples to get you up and running. He’s also published Part 2 (Set up EC2 instance to securely connect to your Aurora DB) and Part 3 (Set up database migrations with umzug) with the final two parts (Set up continuous deployment to migrate database with CircleCI and Set up local development environment with serverless-offline and Docker) coming soon. These are sure to be helpful guides for anyone looking to build serverless apps with RDBS backends. Speaking of re:Invent, it is less than two weeks away! 🎉 This is the first year that I’m attending so I’ve been looking for tips like this and this. I’m excited for some of the sessions I’m attending and will be at several events as well. If we haven’t connected already, please contact me so we can meet up. This week’s star is Alex Casalboni (@alex_casalboni). Alex is an AWS Technical Evangelist, Serverless champion, co-organizer of ServerlessDays Milan and the serverless meetup there, contributor to serverless open source projects, and a regular conference speaker spreading the serverless gospel. He also helps coordinate ServerlessDays conferences around the word, including helping me and the Boston team. Thanks for all you do, Alex! As much as I still worry that serverless adoption will be slower than I had hoped, the amount of innovation and new faces in the community is really encouraging. I’m already aware of a few announcements planned for re:Invent, but I also know that there will be a ton more. Other cloud providers are also pushing serverless innovations, and I expect Google and Azure to be announcing new things soon as well. Serverless still has a long way to go, but all of these new tools, platforms, cloud provider features, conferences, and enthusiasm from the community, is helping to expose this paradigm to a much larger audience. I’m going to continue to write and promote it as much as I can, because there is little doubt in my mind that this is the future of application development. I hope you’ve enjoyed this issue of Off-by-none. Feedback and suggestions are always welcome and appreciated. It helps me make this newsletter better each week. Please feel free to contact me via Twitter, LinkedIn, Facebook, or email and let me know your thoughts, criticisms, and if you’d like to contribute to Off-by-none. Welcome to Issue #5 of Off-by-none. I really appreciate you being here! Last week we took a more in-depth look at how we can use traditional microservice patterns and adapt them to our serverless applications. An Introduction to Serverless Microservices was the first in a series of posts to demonstrate the power of serverless microservices and how they can be implemented. There are a lot of topics to cover, but I consistently get questions about how to handle errors in distributed systems. This is especially significant with serverless architectures since functions are ephemeral and observability is less than ideal. I’m working on a new post on this topic that I’ll share soon. The Case of the Broken Lambda by Vicki Boykis is an interesting read that turns debugging a Lambda function into a modern Sherlock Holmes mystery. The issue described is very specific, but there are some valid lessons in here. Speaking of debugging, Investigating spikes in AWS Lambda function concurrency by Ian Carlson, Principal Solutions Architect at AWS, is another great read. This post gives you some useful strategies for tracking down issues caused by errant code or upstream scaling that can exacerbate concurrency issues. 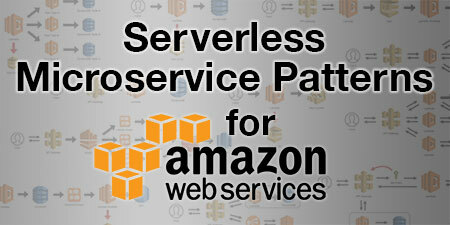 Finally, Adnan Rahić published A crash course on Serverless with AWS — Image resize on-the-fly with Lambda and S3. Interesting use of Docker to package binaries for a Lambda function. This is a great example of how the Lambda runtime environment can support much more complex use cases. Aurora Serverless has been generally available for almost 2 months now. 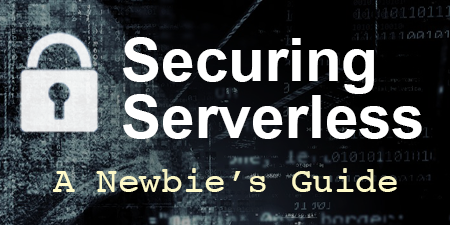 I was really excited when it came out and published Aurora Serverless: The Good, the Bad and the Scalable which goes into quite a bit of detail regarding cost and performance. I notices that AWS is hosting some webinars this week that might be interesting to those who want to explore this technology in more depth. You can register here for a live session or to get the replay when it’s available. This week’s star is Paul Johnston (@PaulDJohnston). Paul was one of the co-founders of ServerlessDays (formerly Jeff), a senior developer advocate for serverless at AWS, and a serial CTO that has embraced serverless in all his recent endeavors. I really like the way Paul thinks about serverless, and while his occasional blog post is always worth the read, I’ve found myself spending a lot of time lately watching some of his conference talks. Like this one and this one and definitely this one. One of the things I like so much about Paul is that he’s opinionated. I don’t always agree with some of his opinions 😉, but I definitely like how he makes his case for serverless and how it should be done. With best practices still emerging in serverless, I think it’s important for new developers to have some sort of framework to start with. Agree or disagree, Paul continues to put his ideas out there. I’ve spent a lot of time this past week continuing to work on our serverless microservices at AlertMe. I’ve been immersed in this for the last few months, and through that process, some of my thinking has evolved a bit. I’ve discovered so many nuances, complexities, and workarounds, that I’ve had to stop a few times to build tools (like serverless-mysql) to encapsulate some of them. While these are obviously helpful, I feel like some of this tooling is starting to bog down the simplicity that is (or was) serverless. My boilerplates are getting a bit out of hand, which is something to think about. I hope you enjoyed this issue of Off-by-none. Please send me feedback and suggestions to make this newsletter better. Contact me via Twitter, LinkedIn, Facebook, or email and let me know your thoughts, criticisms, or even how you’d like to contribute to Off-by-none. Go build some great serverless apps. Hope to see you all next week! I really like DynamoDB and BigTable (even Cosmos DB is pretty cool), and for most of my serverless applications, they would be my first choice as a datastore. But I still have a love for relational databases, especially MySQL. It had always been my goto choice, perfect for building normalized data structures, enforcing declarative constants, providing referential integrity, and enabling ACID-compliant transactions. Plus the elegance of SQL (structured query language) makes organizing, retrieving and updating your data drop dead simple. But now we have SERVERLESS. And Serverless functions (like AWS Lambda, Google Cloud Functions, and Azure Functions) scale almost infinitely by creating separate instances for each concurrent user. This is a MAJOR PROBLEM for RDBS solutions like MySQL, because available connections can be quickly maxed out by concurrent functions competing for access. Reusing database connections doesn’t help, and even the release of Aurora Serverless doesn’t solve the max_connections problem. Sure there are some tricks we can use to mitigate the problem, but ultimately, using MySQL with serverless is a massive headache. Well, maybe not anymore. 😀 I’ve been dealing with MySQL scaling issues and serverless functions for years now, and I’ve finally incorporated all of my learning into a simple, easy to use NPM module that (I hope) will solve your Serverless MySQL problems.